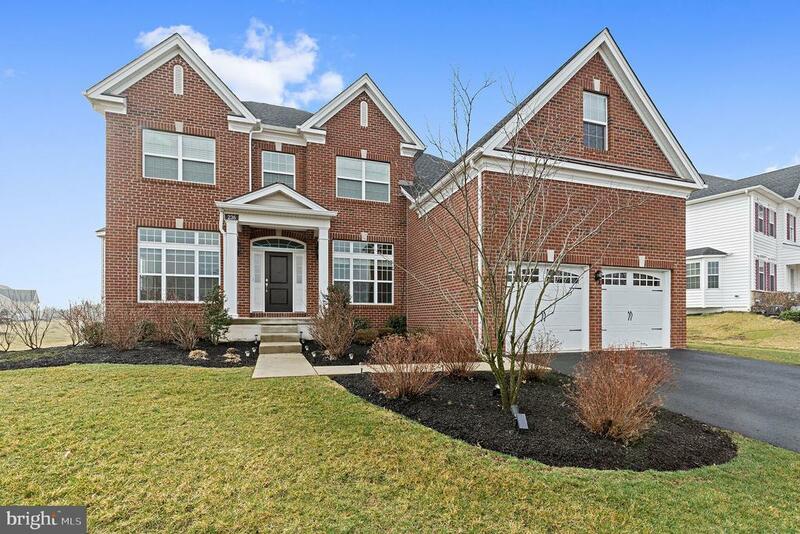 Welcome to 236 Eadie Way located in The Reserve at French Creek, a Toll Brothers Luxury Home Community in picturesque Chester County, PA. This 3 year old home is located in the highly rated "Owen J Roberts School District". This home features the Ellsworth II floor plan offering 4 bedrooms 2 full baths, 1st floor powder room, interior access to your OVERSIZED 2 car front entry garage inclusive of an additional 6 feet in length, and a conveniently located laundry room on the 2nd floor. The 1st floor features a 2 story family room offering windows on the rear wall faming a fireplace, formal living room, dining room, private office, mudroom with exterior access and upgraded kitchen. . The 2nd floor features a spacious master suite with a master bath, large walk-in closet, soaking tub, shower and double vanities. Upgrades in this are numerous including soft close kitchen and bathroom cabinets, wood trim, custom window treatments, large rear stone patio, 1st floor hardwoods, and upgraded carpets and padding in the bedrooms. There is also a large finished bonus room off the master bedroom. Three additional bedrooms, all with large closets and hall bath and laundry room complete the second floor. The unfinished daylight basement with walkout could easily be finished to create even more living space. Reserve at French Creek is located just minutes from Kimberton attractions, golf, hiking and biking trails with convenient access to the PA Turnpike and Route 422. Please view the attached virtual tour of this beautiful home.